In this blog we shall look at the steps to add a user into the Server Administrators Role in SQL Server Analysis Services (SSAS). 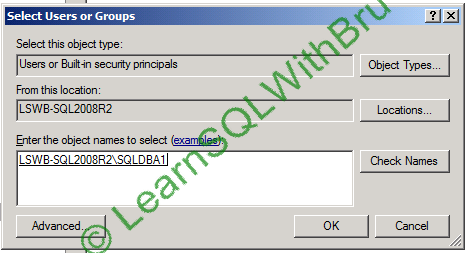 Let’s get started..
Connect to the SQL Server Analysis Services from Management Studio (SSMS), once connected, right click on Analysis Server (as shown below) and select Properties. 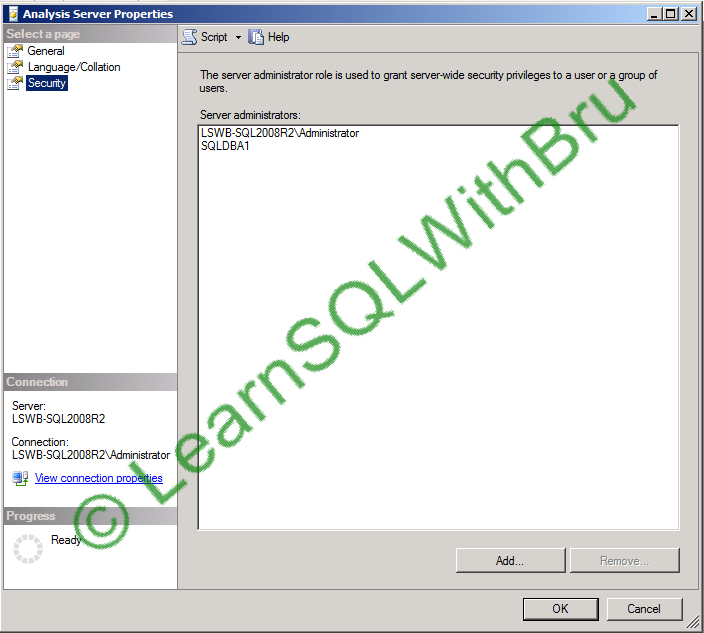 Once you click Properties, the Analysis Services Properties dialog box appears, then click Security page, to show the list of users who are currently Server administrators (shown below).. Click on Add button and type the name of the user and click OK button. The user is now part of the Server Administrator group on the Analysis Server now.. To cross check click on the Security page on the Server Properties.. Do you like this site? 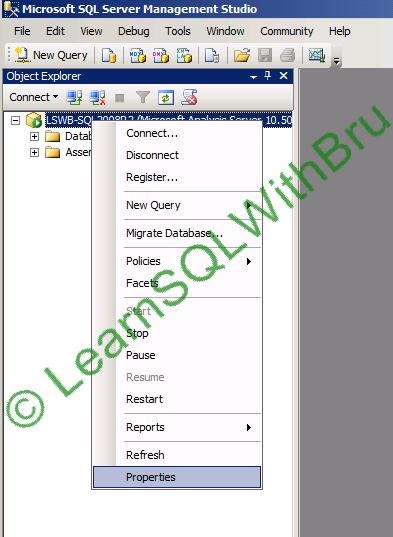 Like our FB page @ Facebook.com\LearnSQLWithBru so that, you know when there is a new blog post. If you are interested to know about the table (in a particular database) that has most number of columns and how many columns.. You can run the below script..
As shown in the below screen shot, it will list the table and the number of columns in that table..